Raeyn May 1, 2017 May 1, 2017 No Comments on Let’s Make It Happen! 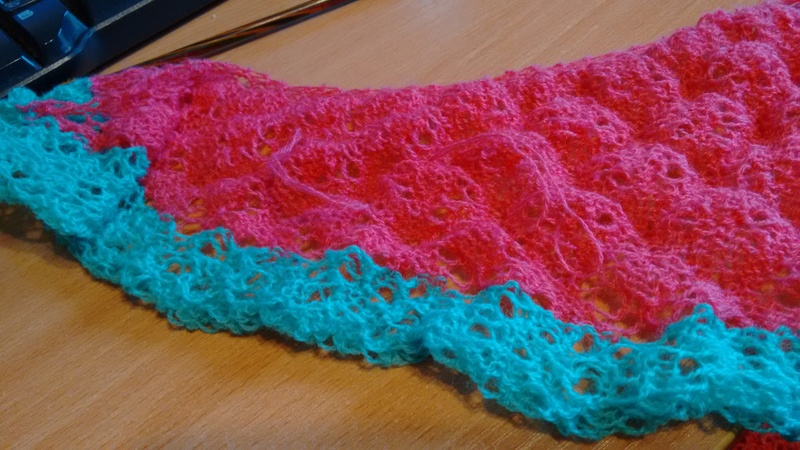 If there was one thing that I wanted to make myself get done this weekend, it was getting the shawl finished properly. It only took me a few minutes to sew in the ends, and it’s currently out of rinse and having a little dry before I pin it up the blocking board(s). I’m not as convinced by the power of blocking as I probably should be, but I’m still willing to make the effort for something that I’m gifting onward. Beyond that, I’ve just been doing more of that zoning out and gaming thing. I’ve done a few rows on the knitting, but I knew I was dragging my heels because I hadn’t finished the shawl. And yanno, ’cause I’ve needed lots of zoning out time. At least this week is another short one, so that’ll be gentler on me.